The act of remembrance is also a reminder that we are still here, standing at the new horizon as the old makes a distant retreat. The lost horizon is always there, carried within us but the act of remembrance focuses our gaze upon it. A portal through which we approach that fading vista, remembrance offers up the door through which we are beckoned by our lost loves – by those we are in gratitude to – but through which we can never fully walk. Forever kept apart on the threshold of what was and what is we are either the memory or the memorised, we cannot reside betwix the two. We are the life which has come from death. In the viscerous fog of our mourning comes the lucent mist of our own morning. For some there is heartbreak, still fresh, tender and yet to form time’s cradling scar. Exposed and raw it is the sweet burden of loving someone who is now beyond our reach. We have been asked to let go but as yet, cannot – haunted by a presence which is no longer present. Remembrance helps us to release gently that which was not ours to keep, it enables us to step into our own discarded clothes once again, where we will re-discover the familiar shape and form of our own life and inhabit it once more just as we are supposed to do. With remembrance comes responsibility to go on, to live our lives as a precious cherished gift from those we now remember. during the First World War. 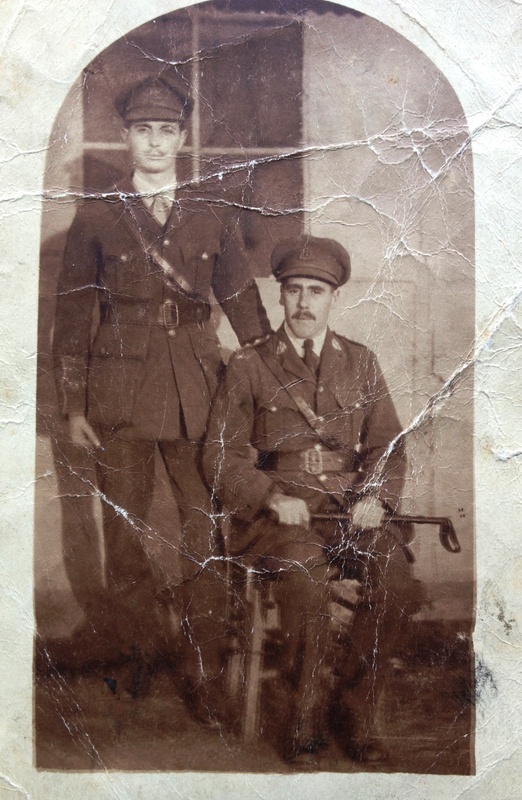 My grandfather survived the trenches of France and lived into his 80’s. I do not know the fate of his brother in arms. 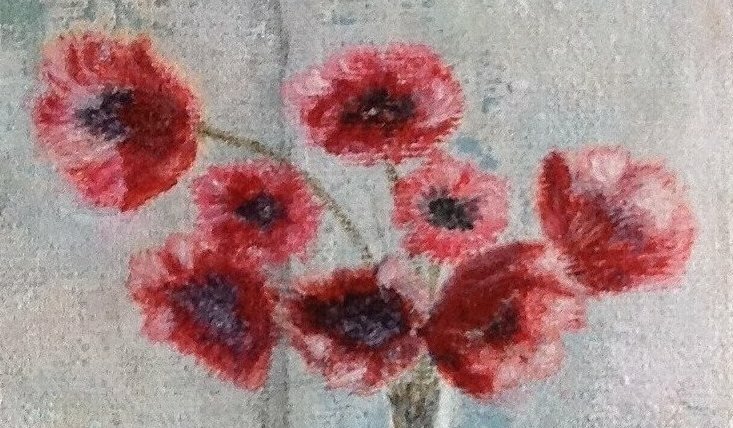 POPPIES from one of my paintngs. To see more of my work click here. Wonderful! I love your writing and the painting is beautiful. Thank you Katherine. I didn’t realise you could link posts in this way. I’m still learning! This is a lovely tribute and beautiful words for us all. Thank you! Lovely musings, and your painting is beautiful!